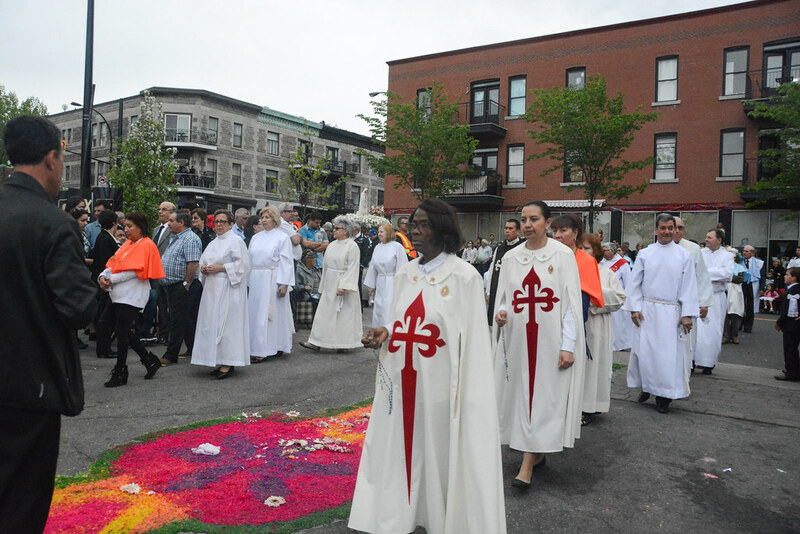 On May 21st, the Heralds from Montreal participated in the 51st annual procession in honour of Senhor Santo Cristo. It is a copy of the miraculous statue venerated on the island of São Miguel in the Azores. This procession in Montreal is the biggest religious procession in all of Canada. As usual, there were two philharmonic bands and over 2,000 pilgrims came to show their deep devotion to Sr. Sto. Cristo. This year the festivities was presided by Fr. Carlos Dias. To mark the end of the Marian month of May, on May 27th, the rector of the Melkite Catholic Cathedral of Montreal, Fr. 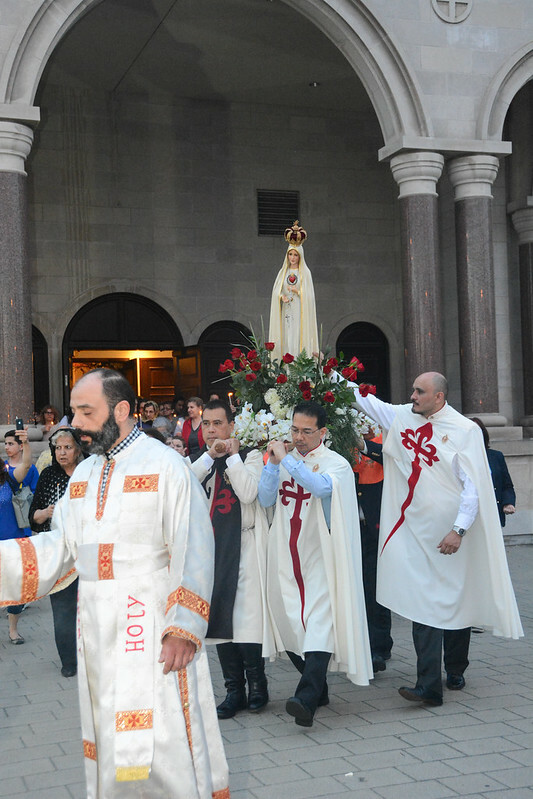 Rabih Abou Zgheib, asked the Heralds to bring the beautiful statue of the Immaculate Heart of Mary to the Cathedral. With great fervour and piety, she was solemnly crowned during the mass. After the mass, to the delight of all present, She presided the candlelit procession in the streets of St. Laurent. 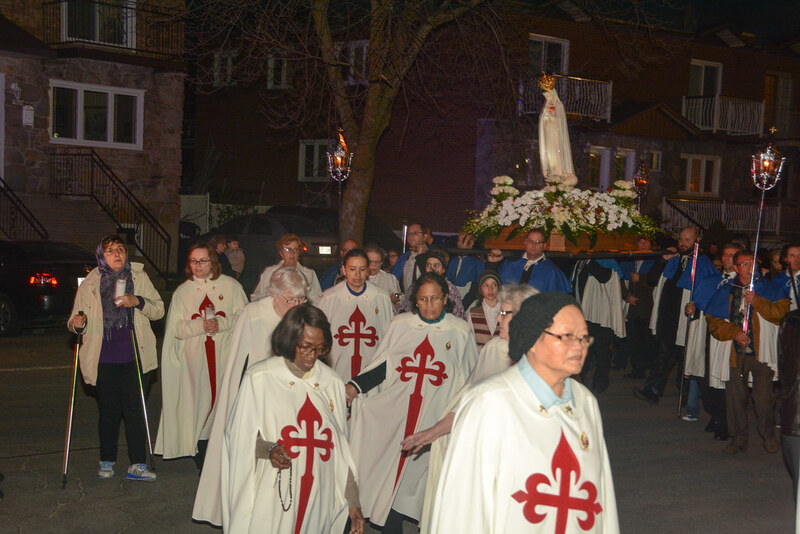 As a preparation for the centenary of the apparitions of Our Lady at Fatima, the parish of Nossa Senhora de Laval held a candlelit procession in the streets of Laval on May 12th. It was well attended by the Portuguese community in Laval. The pastor, Fr. Carlos Dias, along with Fr. Peirangelo Patieneri, the vicar for the immigrant communities in Monteal, celebrated the festivities. On June 17, Fr. 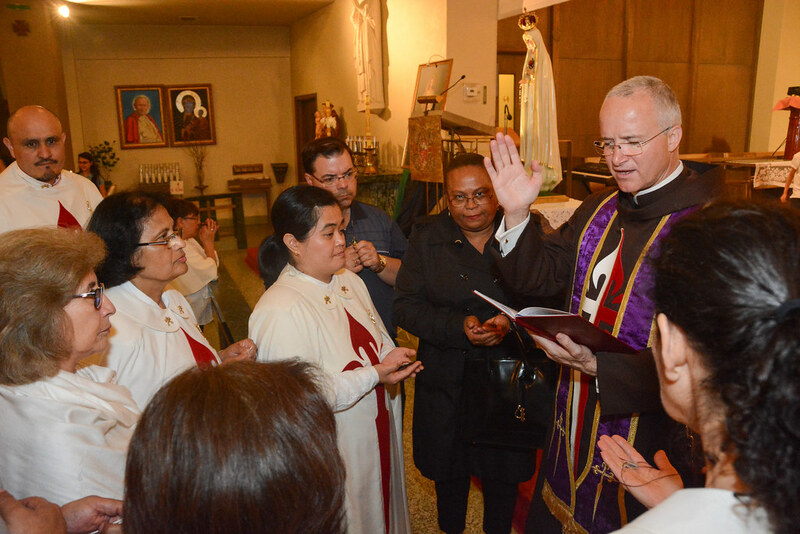 François Bandet celebrate a solemn mass for those who wish to deepen their commitment to the spirituality of the Heralds of the Gospel. 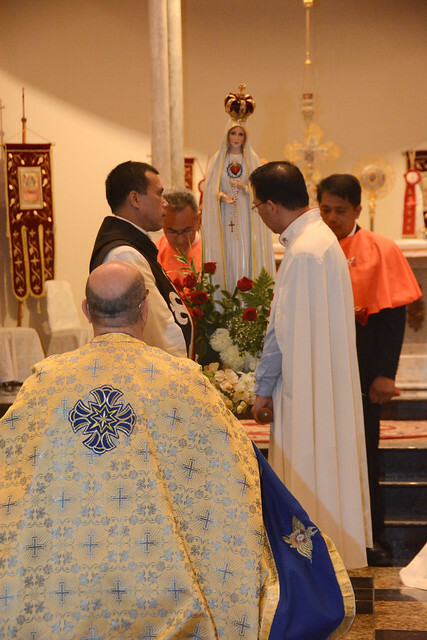 There were 11 consecrated friends who received the beautiful white capes of the Association as a sign of their desire to come closer to Our Lady.